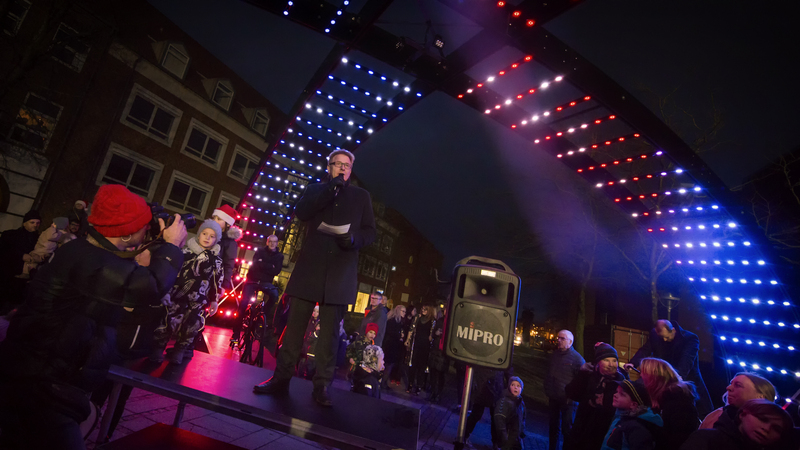 Lightbattle X (2017) exists of two crossing arches that are made out of thousands of LED lights, and spans over a square or pathway. 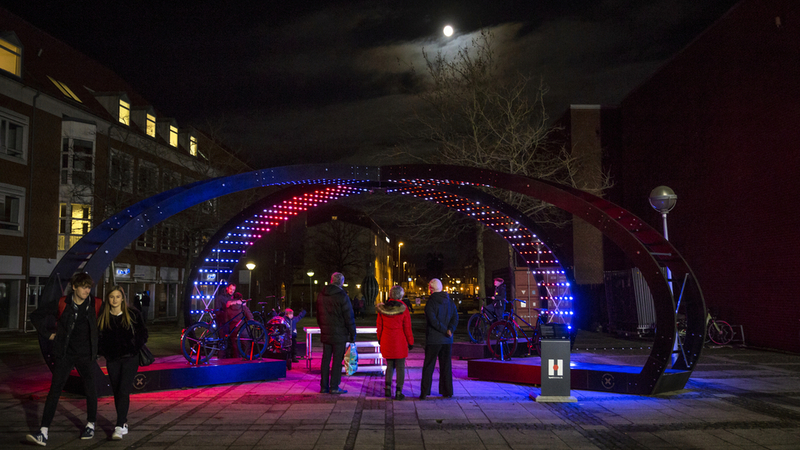 On each of the four sides a bicycle challenges the visitor to step on and take part in the Lightbattle. 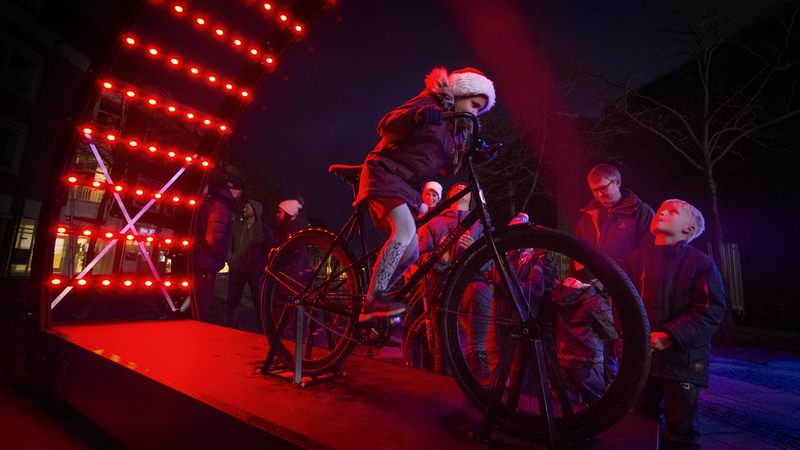 By pushing the pedals contesters will push their own beam of light to the middle as fast as possible, defeating their contestants.